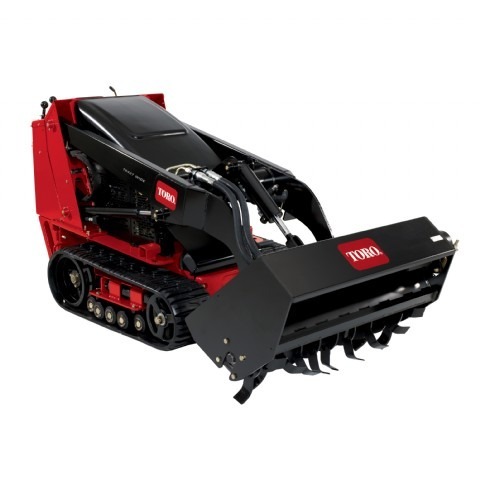 The Toro TX family of compact utility loader models’ auxiliary hydraulic performance makes light work of even the most challenging ground conditions. With exclusive easy-to-use TX control system and the walk-behind design, the TX compact utility loader makes productivity a snap for all levels of operators. A two-stage, heavy duty, remote air cleaner is contained under the hood, so it is not prone to damage and sight lines are not impaired.